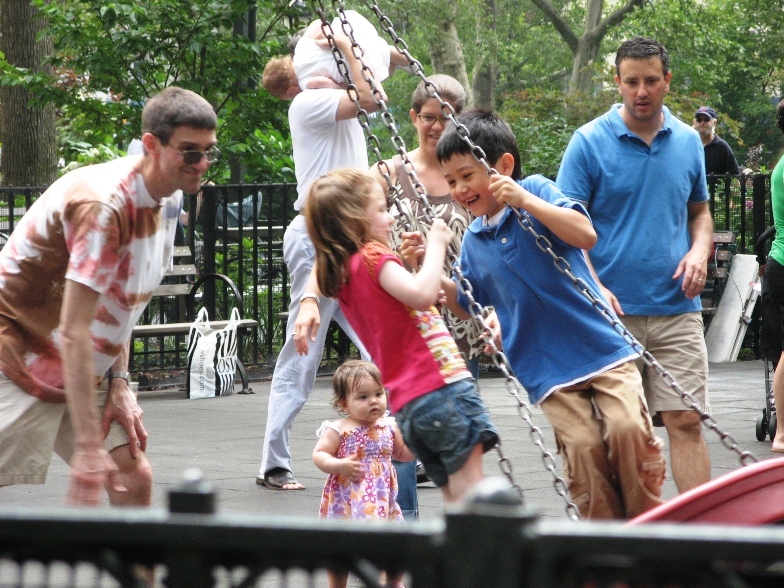 No nannies, nearly no mommies, all daddies (almost) Is this New York? Nah, it must be Boise. Oh wait, it’s Father’s Day! Mommy’s got the day off.